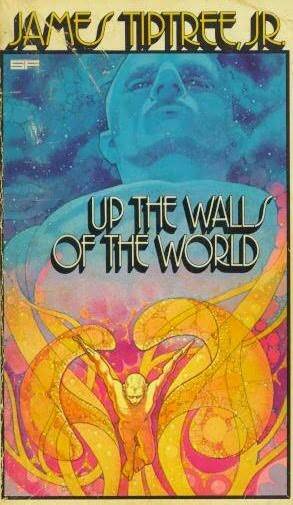 Up the Walls of the World was written by James Tiptree, Jr. (also known as Alice Bradley) and published by Berkley Publishing Corporation in 1978 with 319 pages. Up the Walls of the World is told from the points of view of three different species. The novel begins with “The lone Destroyer,” a gargantuan Leviathan-like creature that aimlessly roams space, destroying everything in its path. Forgotten by its own species, it is constantly referred to as “a huge dark nothingness” full of sadness and guilt (166; 148). As the Destroyer continues its eternal rampage across the Galaxy, it begins to encroach on Tyree. 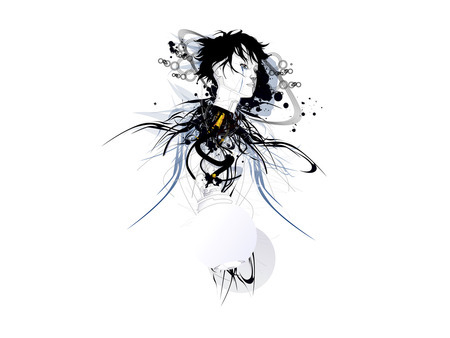 The Tyrenni, who are an incorporeal and telepathic race, live underground on Tyree. The Tyrenni have traditionally different gender roles than humankind; the male gender is responsible for rearing the young and governing, while females are “rugged and work-tempered and competent,” truly the explorers of the species (14). The last viewpoint represented in the novel takes place on Earth, on which a scientist, Doctor Daniel Dann, is carrying out experiments on potentially telepathic humans for the U.S. Department of Defense and the U.S. Navy. As the telepathic Tyrenni sense the continual destruction of nearby planets by the Destroyer, they know that they are next. To kill or not to kill? That is the question. One of the central themes of Up the Walls is the question as to whether murder is ever justified. In order to save their own race from extinction, the Tyrenni must steal human bodies and doom their original owners to death on Tyree. Opposed by some Tyrenni factions as genocide and a “life-crime,” the fear of Armageddon initiates a brief civil disturbance on Tyree over the differing views of the morality and necessity of the act (86). During the disagreement, one of the main alien leaders exclaims, “This is a criminal plan. What right have we to steal intelligent bodies and bring these people here to suffer and die?” (121). Even though it would mean the death of their race, many Tyrenni feel that condemning innocent humans to die would be so immoral that even the threat of extinction could not justify their actions. However, some are able to drag themselves and their children to Earth, taking over the uncivilized bodies of humans, justifying their actions as their duty to protect their offspring. Overall, the novel demonstrates an awareness of the value of life and questioning whether the ends justify the means. At the time the novel takes place, a feminist movement is in the early stages of forming. As demonstrated by one of the main characters, a female named Tivonel, some of the aliens are beginning to question why there are distinct gender roles and why females cannot raise young themselves. Indeed, many Tyrenni females dream of a time when they will not be treated poorly, saying, “somewhere out there must be a world where we aren’t like this. Where the females are able to do the Father-ing and all the high-status activities” (127). Thus, there is an association of raising children with greater political power and it is the main feminist motif in the book. The politics surrounding these unique gender roles are heightened by the possible transportation to Earth. Once Tivonel goes to Earth and returns to Tyree, she is bombarded by questions from females asking, “How was it [Earth] for females?” (119). Clearly many females on Tyree are struggling to better themselves and their place in society. Surprisingly, one of the most striking and enjoyable characters is the Destroyer. Although I had expected the Destroyer to be a static character moving towards one evil goal, the destruction of life, it was actually the character with the most personal growth. Indeed, the entire book focuses on a depressing theme of overcoming uncertainty, loneliness, and impending death, all of which the Destroyer is able to encapsulate in its own existence, forcing the reader to sympathize with it. The book expresses these dark emotions from every corner and every character, and no one is immune to it, making the constant struggle to preserve such futile life many times more interesting. Overall, the people who might like this book would probably be interested in themes such as impersonal romance, feeling impending doom, anxiety, and the place of parenting in our society. Protected: Parts of a Whole?